Family friendly 3-4 bedroom ranch is perfect for large families or 2 families vacationing together. 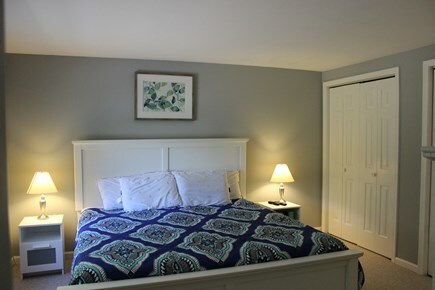 In addition to the 4 bedrooms there is a family room with a queen size pull out couch. This is a perfect location, a mile to both Sea Street and Haigis Beaches, but on a private dead end street. 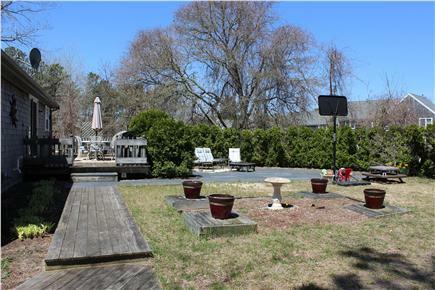 Private back yard with deck, gas BBQ grill, fire pit (great for making smores) and outdoor enclosed shower. 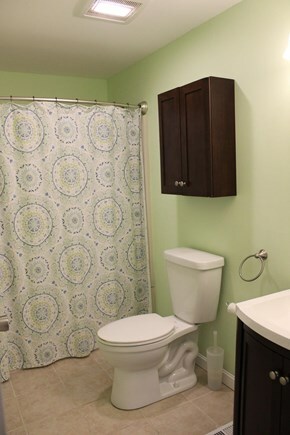 This house is fully equipped with everything you need for your home away from home! 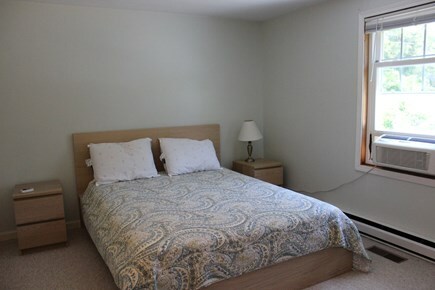 The Master bedroom on the main floor has a king bed with a half bathroom. 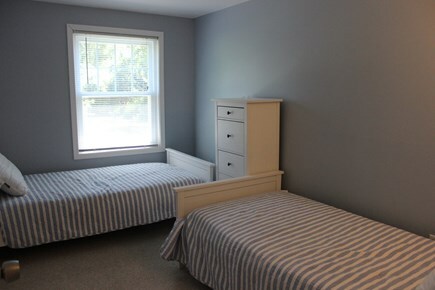 The 2nd bedroom has a queen bed and the 3rd bedroom has two twins. 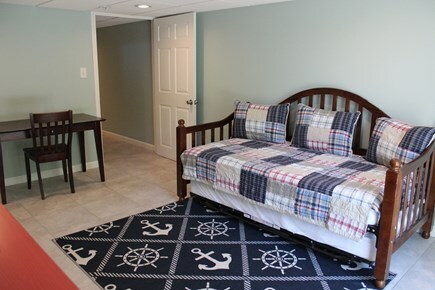 Downstairs there is a 4th room with a daybed and trundle and a family room. It has a washer and dryer, dishwasher, cable TV (one in living room, one in family room and one in master bedroom) and Wifi. Beach chairs, beach towels and toys are also available for your use. We do not provide bed sheets or bath towels. Additional availability info: 3 night off season minimum. Short term winter rentals also available. This is a Saturday to Saturday vacation rental. Additional pricing info: State and Local taxes of 12.45% will be added to the price; Weekly cleaning fee of $175, State and local taxes of 12.45% will apply. 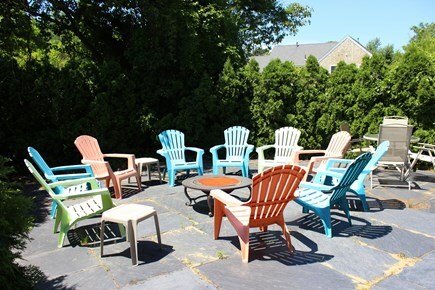 We rented this house for family that came in different groups at different times. It is spacious, immaculate and has everything you could possibly need. 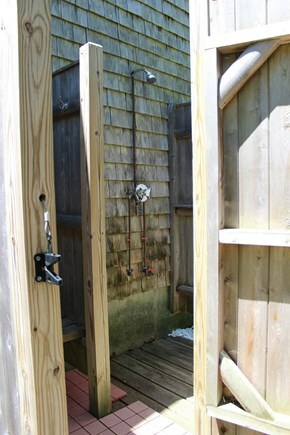 The outdoor shower is a great plus after spending the day at the beach with grandchildren. We had a couple of really warm days for mid June and the air conditioning was greatly appreciated. 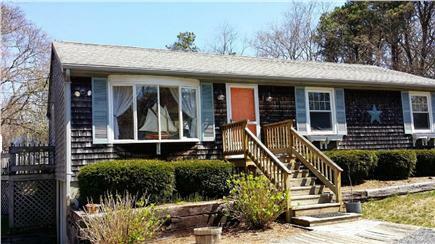 The house has a great location close to the beach, great restaurants and shopping. 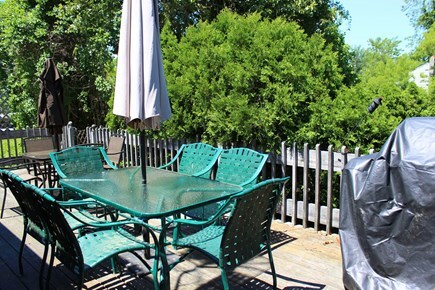 But at the same time, it is on a dead end street with a large private back yard and huge deck fully equipped for a family BBQ or relaxing with friends around the fire pit. We will definitely be returning! Great open concept - great play spaces in back yard and basement! Perfect Cape getaway for the whole family. 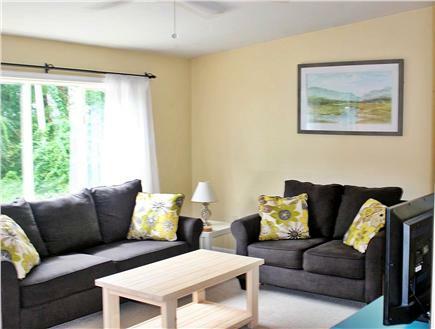 Open concept main living-kitchen area, very clean, Wifi, cable tv, brand new furnishings throughout. Everything you need to cook or clean is here. Walk out to large porch with grill, tables, swing set and more. Private yard, enjoy the outdoor shower in yard set back from road and neighbors. Short drive to beaches, walk to Woolfies for breakfast and Kreme n Kone for dinner. 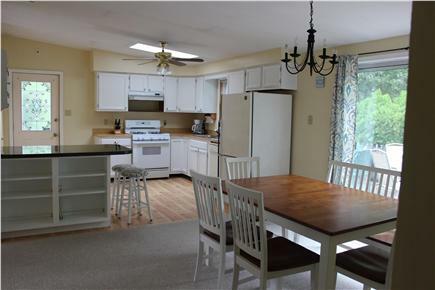 Great Cape house - neat, clean and centrally located! We were the first tenants at this house and really enjoyed it! It's clean, convenient, well priced and had the amenities we wanted for our family. The owner was very easy to work with and eager to do whatever he could to assist us. The house was very neat and clean and had lots of new furniture. We took advantage of the deck and grill as the kids played in the back yard and on the patio. The outdoor shower was a must have with sandy kids. 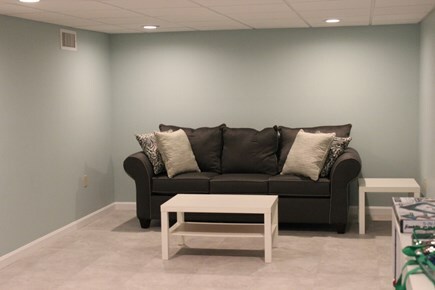 The basement was a bonus since it stayed nice and cool and the kids had a lot of room to watch TV and play. 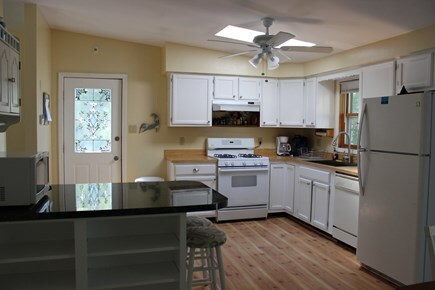 2/3 of the upstairs bedrooms had AC and the kitchen and living room have ceiling fans so it never got hot.